Nasal Congestion is a condition of blockage of nose restricting the free flow of air through the nasal passages. ‘A stuffy nose’ is what we all call usually. It is a mild ailment and is seen so regular out there where you can observe one of your friends with stuffy nose once in every season. A stuffy nose is just a result of inflammation of blood vessels in sinuses. 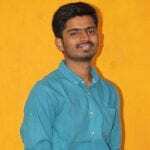 Need not worry if you are the victim this time, we shall show you the effective home remedies for stuffy nose and natural cures for nasal congestion problem today! With an understanding over the nasal congestion symptoms and with use of any one stuffy nose remedy, you can conclude that it is nowhere a disease but a minor ailment caused due to silly weather changes. Acupressure is one great therapy that finds solutions for almost every disease right from flu to the severe nervous breakdown. We will see today the most effective pressure points for nasal congestion that can cure your stuffy nose forever. The biological reasons for nasal congestion are so tiny that they pass on with the time; so will your problem be. But if you’re helplessly low in your immune strength, you got to find a permanent solution so as to bring the ability to sustain any external changes from the nature that affect your body. Inflammation is a largely common issue that creates a lot of problems to the body’s functions. -Inflammation in blood vessels of the nose is primary cause for nasal congestion where the accumulation of mucus happens in the nasal passages. -An allergic or non-allergic rhinitis(a kind of inflammation) also leads to a stuffy nose. -Infections in nasal passages due to any reason like dust, pet dander, or respiratory syncytial infections have a high chance towards causing a stuffy nose. 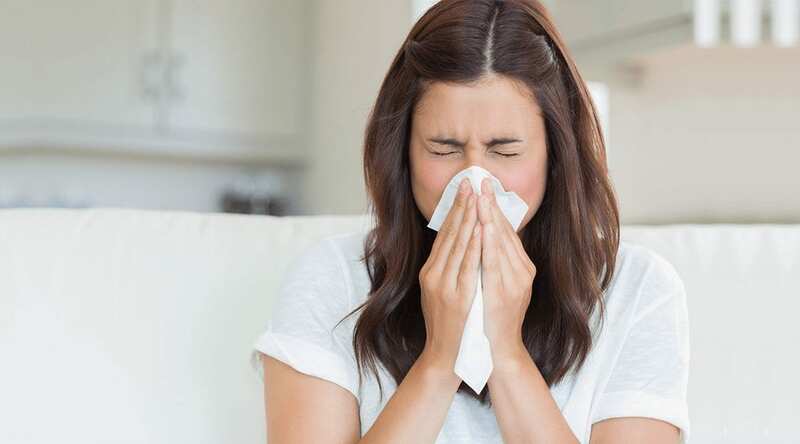 -Infections like sinusitis, common cold, asthma caused due to severe cold, influenza, and swine flu will lead to primary symptoms of nasal congestion. -Septum deviation also causes respiratory issues in which blocked nose is one primary result. –Nosebleeds may also be a cause of damage of nasal cavity linings which lead to coagulation of mucus in nose. -Enlarged Adenoids in the throat due to bacterial attack is one more reason for stuffy nose. Many home remedies for stuffy nose can be listed out if we get how to control inflammations and infections. Other than infections, autoimmune diseases cause many nasal congestion symptoms that require specialized treatment, which is also possible at home. All the symptoms of nasal congestion are notified in the above characteristics of stuffy nose. Few additional symptoms are mentioned here which help you understand the scenario deeper. –Viral infection in brain tissue, called encephalitis, is a sign or nasal congestion. -Chronic sinusitis is an obvious symptom for nasal congestion. Acute sinus may also be observed sometimes. -Continuous nasal discharge is also an indication of nasal congestion as the nose is full of mucus. Cloudy, green, and yellow mucus are few symptoms of stuffy nose condition. -Sinus pressure and swollen sinuses lead to headaches, earache, jaw pain, and overall muscular pain in face(called facial pain). -Mild sore throat is a symptom of nasal congestion. The typical remedies for sore throat will also work as home remedies for stuffy nose at times. -Usual Cough, persistent cough are caused due to blocked nose with mucus. Sleep disturbances occur due to nasal discomfort and also cough. All the situations mentioned above give indications to see a doctor as soon as you understand that they cannot be controlled with home remedies. Most of them are controlled at home with herbal remedies and natural treatments. The better you know the disease, straighter will be your treatment methods. 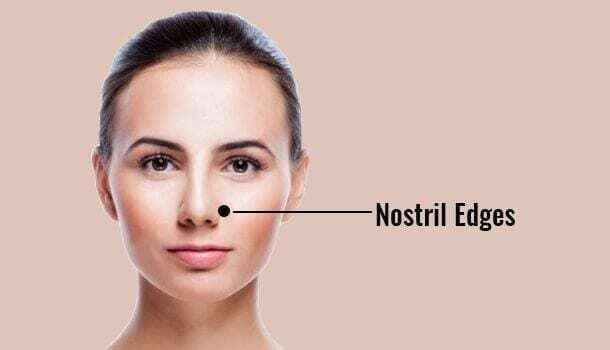 Looking for home remedies for stuffy nose has many proven results but the acupressure points give the best natural treatment for nasal congestion relief. Here are 5 proven acupressure points presented as nasal congestion remedies which work as effective as natural/herbal remedies. Union Valley point is hailed for many treatments in acupressure therapy. It relieves nasal pains and sinus blocks thoroughly. The point is located in the web of thumb and index finger of both hands. It is also called Large Intestine 4 point. Pressurizing this point for 2 minutes will open the ways to flow of life energy. The activity of LI 4 pressure point for nasal congestion treatment is highly effective as it can also cure cold and cough which are simultaneous issues observed with stuffy nose. Bridge of nose is the highly relevant pressure point in the entire list of acupressure points for nasal congestion. It can create pressure on the nasal cavity lining directly and get you rid of mucus quickly. 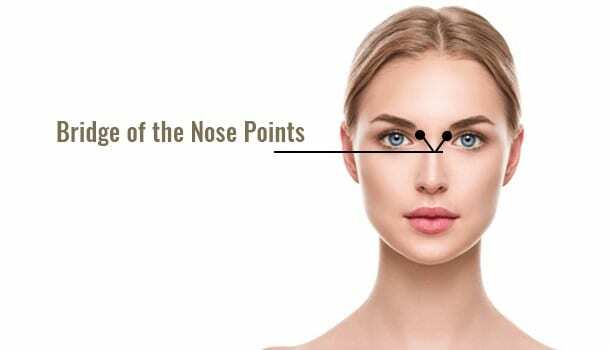 The pair of points are located right under the beginning of eyebrows on both sides of the nose. Nasal pain relief is achieved by pressurizing this point for about 5 minutes. For any Sinusitis-related problems, respiratory problems, we can opt nostril edge. It works as a perfect stuffy nose remedy as it can relieve the blocked energy through the meridians which is a high-need for pain relief and mucus clearance. The location of the nostril edge points is on the either side of nose just beside the nostrils. When you place your fingers just above the breastbone, you can find a hollow region which is the collar bone pressure point. This shows the effective pain relief by clearing the respiratory tract and relieving the energy through the pressure points. Major advantage with this point is that it also relieves other symptoms of cold, flu, and fever along with the direct cure of nasal congestion. This works for every person unlike the sensitive points like nostril edge and bridge of nose. The point is indicated with GV 16, i.e. Governing Vessel 16. It is located right in the hollow of the base of the skull where the neck bone starts. Use your middle finger to apply massaging pressure for 3-4 minutes. Take deep breaths while applying the pressure. Nasal congestion condition is soothingly recovered with this points if the given conditions are perfectly followed. It can relieve from sleep apnea, mental illness, and several headaches. Heaven’s pillar is again an indication of a pair of pressure points located under the skull. As indicated in the image, the points are not exactly in the mid-region of skull’s base. They are to some offset to skull’s ends, i.e. nearer to the ears behind region. Use both your hands and place your thumbs on the points and hold your head in your hands. Apply pressure with the two fingers on two points by rubbing the points for a couple of minutes. Heaven’s pillar works as any other home remedies for stuffy nose as it can reduce nasal congestion, cold, and headache. Home remedies for nasal congestion can be drawn from traditional methods rather than from the treatments of modern science. We have a lot of at-home tips which can give nasal congestion relief within no time and without any ill-effects. Do anything you want to do with steam, it is all safe! Use hot water to steam up your nose along with herbal oils like eucalyptus oil. Take a hot water bath for a moderate while, especially when the disease disturbs your breathing a lot. This will cure the problem to a great extent. Try warm compress for the head region to reduce the nasal congestion pain. Use warm water to clean your face always. Steaming and warming up the region works best out of all the home remedies for stuffy nose. Humidifiers can clear the mucus with great effectiveness. Flush out the sinuses out of the nose all the time. It’ll help in clearing the nasal passages and easy breathing. Use ‘neti pot’ to flush out the sinuses frequently. Use it only when there’s no other alternative for making easy breathing possible. Being hydrated can flush the fluids out from the respiratory tract which can enhance easy breathing. It will also depressurize the sinuses, as a result of which inflammations and irritation in throat are relieved. Home remedies for stuffy nose cannot be completed without the use of water in some or the other way. Sips of Apple Cider Vinegar can heal many nasal congestion symptoms with zero effort. Teas like Peppermint tea, parsley tea, ginger tea also work effectively. A spicy tea with cayenne pepper is a great anti-inflammatory drink that can cure your stuffy nose. Teas are the best home remedies for stuffy nose. They also include water, which constitute the latter advantage of being hydrated. Of course, sprays work for nasal congestion relief. But once you’re addicted to them, there is a huge drawback with them. You cannot stop using them when you feel irritating, and they won’t work for you because of the reduced defense system towards the disease. So use them in a highly urgent time; stick to a minimal usage. Medicines for nasal congestion is not worthless but they should not be used very regularly that your body loses the ability to make them work upon you. With the knowledge of acupressure points and home remedies for stuffy nose, now you can start your own treatment that ensures every safety needed for your respiratory health. Go ahead!